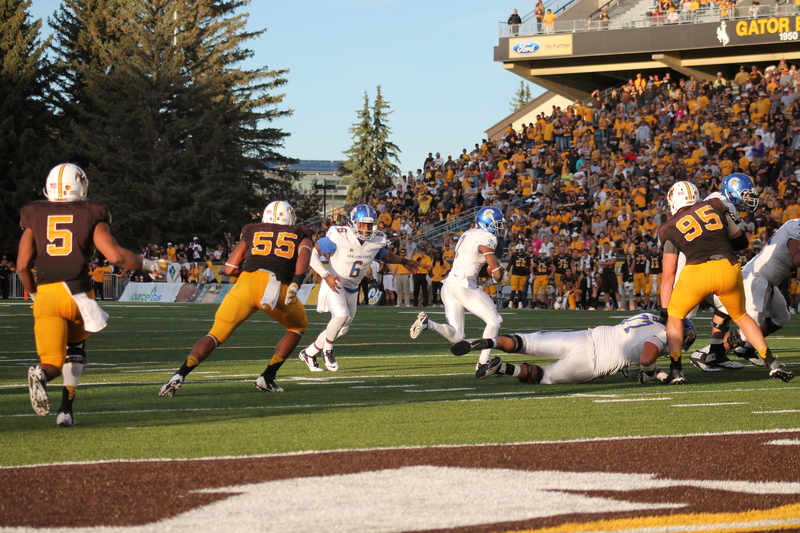 Wyoming senior defensive end Eddie Yarbrough earned an opportunity to fulfill his goal of playing in the NFL when he signed as a free agent with the Denver Broncos on Saturday. Yarbrough is a native of Aurora, Colo., where he played at Grandview High School before playing for the Wyoming Cowboys for four seasons. Yarbrough concluded his playing career at the University of Wyoming as one of the greatest defensive players in history. He became only the third Wyoming Cowboy in the history of the Mountain West Conference to earn First or Second Team All-Conference honors three consecutive seasons. He was twice named a First Team All-Mountain West selection and was a Second Team selection a third year in voting by conference head coaches and media. Yarbrough joined former Cowboy offensive tackle and former NFL player Adam Goldberg (2000-02) and former Cowboy defensive end John Fletcher (2007-09) as three-time All-MW selections. Yarbrough broke Fletcher’s school record for career tackles for loss. Yarbrough recorded 39.0 career tackles for loss as a Cowboy, surpassing Fletcher’s 36.0. Yarbrough also concluded his career ranked No. 9 in school history in career sacks, with 21.5. He was named to two national award watch lists during his career, being selected to the 2014 and 2015 Rotary Lombardi Watch Lists and the 2014 and 2015 Ted Hendricks Award Watch Lists. As a senior, Yarbrough led all MW defensive linemen in tackles, averaging 5.2 tackles per game. He ranked No. 2 among all Mountain West defensive linemen in tackles as a junior (5.2 tackles per game) after leading all MW defensive linemen in tackles (7.4 per game) as a sophomore. The Aurora, Colo., native made 256 total tackles during his college career. He ended the 2015 season ranked No. 8 among active FBS players in career sacks (21.5) and No. 37 among active FBS players in career tackles for loss per game (0.83 per game). He led Wyoming in sacks (7.0) and tackles for loss (10.5) in 2015. His best games his senior season included: a season high 10 tackles at Utah State, including 1.0 tackle for loss and one blocked kick; 8 tackles vs. Colorado State, including 1.5 tackles for loss and 1.0 sack; 7 tackles, 2.0 sacks, 2.0 tackles for loss and one forced fumble in career finale vs. UNLV; 6 tackles, including 2.0 sacks at Washington State; 5 tackles each versus Boise State, Nevada and Appalachian State; and 4 tackles each versus New Mexico and Air Force. Off the field, Yarbrough was involved in community service activities,including going to Haiti in May of 2015 to help work with the Love a Child organization. He helped construct a malnutrition center and helped teach the game of football to Haitian youth. 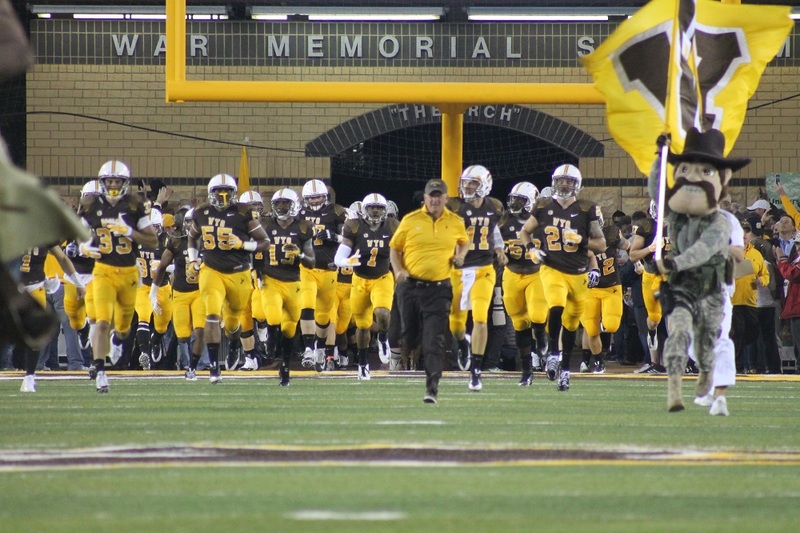 Yarbrough was voted a team captain as both a junior and senior at Wyoming.